Inspired by a cool costume I saw downtown this Halloween (and a desperate attempt to be Yasushi Nirasawa, reigning champion of badass bug costumes), I imagined a girl who crash-lands on an alien world, drinks from its water supply and is rapidly evolved into a mantid/human hybrid. 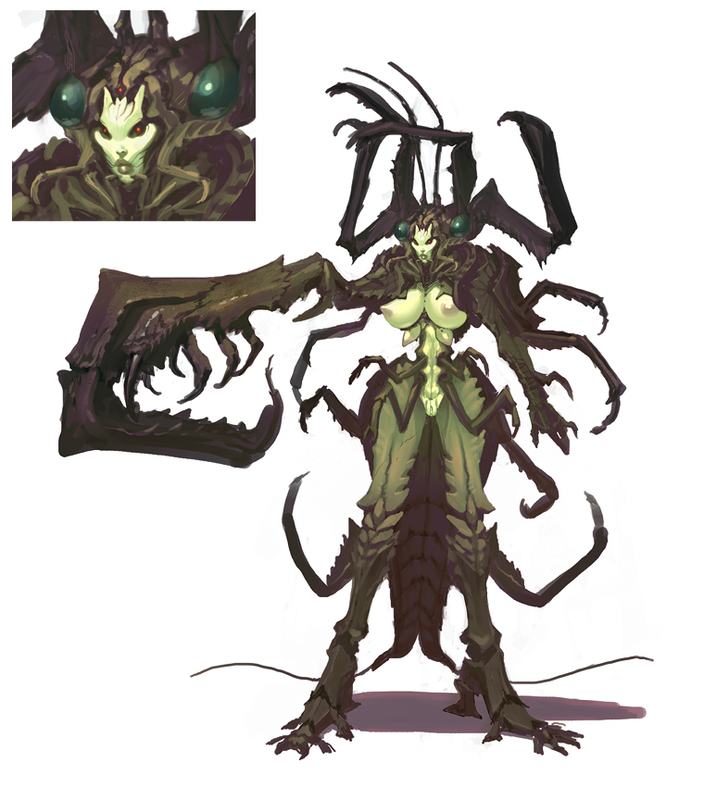 She sprouts a thorny carapace when danger arises, then sheds the husk when the coast it clear. The configuration of plates and, indeed, the kind of bug she morphs into is dependant on the level of danger encountered. Bland pose on this (leg weight too evenly distributed, right arm looks jacked) -- might use the basic design for an action shot. *the only remaining 'humanity' on her is the boobies. There is still hope! You have something there, if she feeds on naked men after sexing them - kind of fatal CFNM.